There will be representatives from the Totus Tuus program speaking at all of the Masses on the weekend of June 8/9th. They will explain what the Totus Tuus program is and they would be able to answer any questions you may have about Totus Tuus. 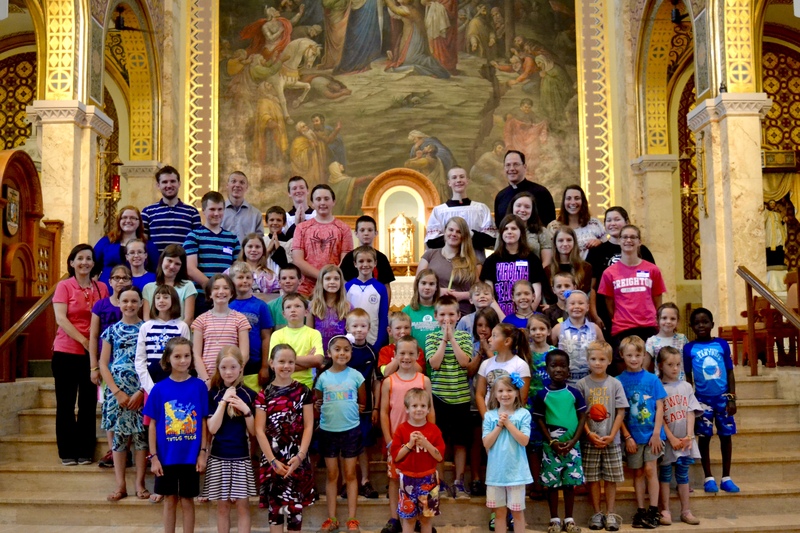 Totus Tuus is a week-long “parish mission” whereby seminarians and college students proclaim the Gospel through Catechetical instruction, Mass, the Sacraments, skits, games and more! Currently in over 30 dioceses across the country!! Totus Tuus, a Latin phrase meaning “totally yours” was the motto of Blessed Pope John Paul II. Taken from St. Louis de Montfort’s work, True Devotion to Mary, it signifies our desire to give ourselves entirely to Jesus Christ through the hands of our Blessed Mother Mary. It also expressed our effort to give all that we have to every young person we encounter. Totus Tuus 2019 June 9th - 14th.